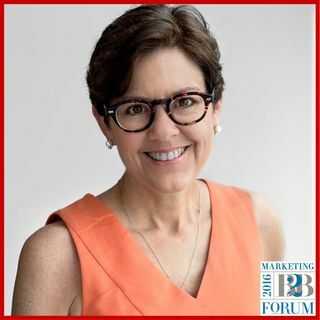 Ann Handley sits down with us at MarketingProfs’ B2B Forum to discuss her latest book, Everybody Writes, and why slow marketing is a practice you should consider in 2017. I cannot thank Ann enough for the impact her content has had in my life. In fact, it is the perfect case study of how to market well to a person and have them become a part of your audience and your customer base. Listen to her considerations of the reader in advance, and how the book comes from a desire deep in her life ... See More that she had to get out. These massive pieces of content that are considered by some masterpieces don’t just form out of mid-air. During the interview, Ann described the how she used other author’s work as guides she used along the way, such as E.B. White’s, The Elements of Style. Later in the show, we discuss the idea of Slow Marketing. In this approach, you slow down your marketing efforts to make sure there is true value delivered. I love this concept and see it ushering in the conversations we will have as modern content marketing grows into the 2.0 stage of life. Concepts like agile marketing, account-based marketing, and video marketing, paired with ideas of a slower pace, allow for us to see the consumption patterns of an audience and determine the best cadence for the content they want. This podcast is a shorter show but is jammed packed with goodies. We will continue publishing the shows from B2B Forum on Mondays and Fridays until we January.